It might feel like the country is in turmoil, but today we wanted to bring you a glimmer of hope. 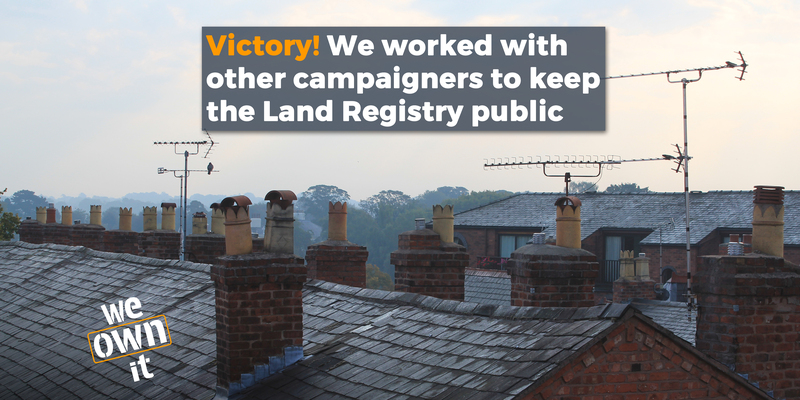 Yesterday, MPs debated the government's proposal to privatise the Land Registry. Our report, 'Future profits vs short term cash' - funded by our supporters across the UK - was mentioned SIX times. This means we are having a real impact on the national debate. And at the same time questioning the whole logic of privatisation that underpins decisions like this. This is what We Own It is here to do. This was the first time we had 'crowdfunded' a piece of work like this, and we weren't sure how it would go. But seeing the amount of media coverage the report received in sources as varied as the Guardian, Private Eye and the Telegraph, and now seeing it have an impact on MPs, we're really glad we did it - and incredibly grateful to all our supporters that made it happen. It just goes to show what we can achieve together. Here are some of the MPs that used the research - written by the New Economics Foundation and We Own It. "The New Economics Foundation states...that only an in-house Land Registry can continue to deliver a quality, trusted and impartial public service while fairly bringing in new revenue. In the research, the foundation also revealed that the Government’s assurances about the service are meaningless, because no risk assessment has been undertaken"
"A report from the New Economics Foundation shows that selling off the Land Registry would harm Government finances in the long term. It suggests that the Land Registry and other assets under threat of privatisation ​or part-privatisation are clearly able to innovate and deliver a profit without needing to be in the private sector." 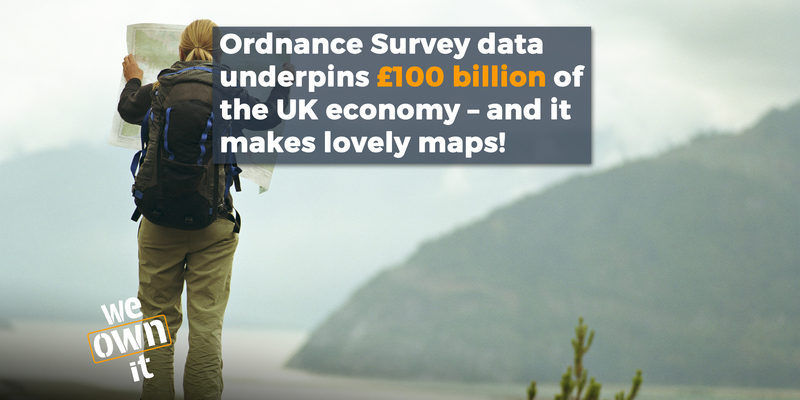 "The New Economics Foundation has pointed out that state assets—not just the Land Registry, but Ordnance Survey, NATS and Channel 4—are all examples of publicly owned services that are delivering lean, efficient and profitable business models. If the Government have any interest in long-term growth and stability, they should hold on to those assets, not sell them off." "As a recent report from the New Economics Foundation made clear, in the long term, the sale of the Land Registry would result in a significant loss of income to the Treasury....the decision to review proposals to privatise the Land Registry is being driven by the Treasury’s desire to bring in revenue in the short term without looking at the long-term negative impact that that would have." 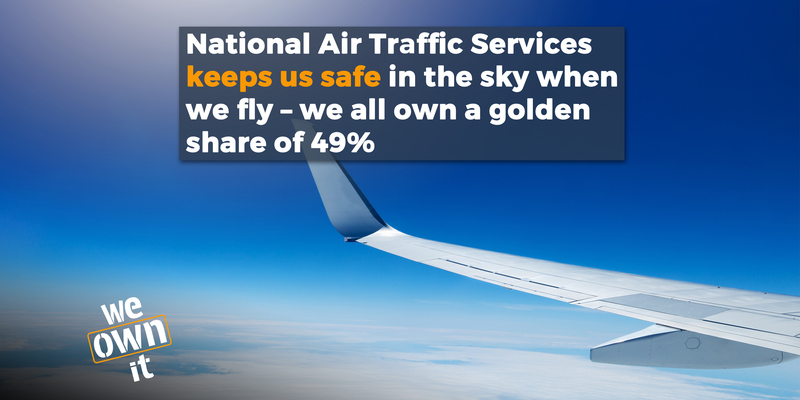 The good news is that many Conservative MPs also seem opposed to the privatisation. Richard Drax MP said he hoped that the government would focus on "the far bigger fish that we will have to fry" and "ensure that this little tiny fish is left alone to swim in the sea for years to come, as it has done successfully." With a small majority in the House of Commons it now seems perfectly possible that the plans to privatise the Land Registry could now be shelved - again. Recognising this, at the end of the debate, David Lammy MP suggested that anyone watching "might conclude that it is unlikely that the government will move forward in this way. Certainly with the majority as it is, it is clear that the Government would not command the strength of the House." We hope he's right! Perhaps more importantly, as Bill Esterson's comments show, it also provided a chance to widen the debate away from just the Land Registry, which is just a part of a wider picture of privatisation based on fundamental myths ('the private sector is more efficient') that We Own It is here to challenge. So, if you haven't seen it already, then watch our video on exactly this issue below. And if you like it, share it on facebook. Thanks to everyone that has got us this far in the campaign, and we hope this offers a glimmer of hope in turbulent times. It seems there's a chance that the government might decide to do what we all know is right: looking after our Land Registry.